Court Jews were purveyors who provided food, fodder, and munitions to the European courts in return for special privileges. Reprinted with permission from The Course of Modern Jewish History (Vintage Books). The kings and dukes of the early modem era, continually engaged in bitter dynastic wars, were in equally continual need of supplies and munitions from all parts of Europe. The purveyors and factors who provided those supplies were almost invariably Jews, the only people capable of mobilizing Jewish peddlers throughout Europe to act as their purchasing agents. The Jews were imaginative, mobile, and trained in exploiting the opportunities of purchase, in appraising values, in buying up war surplus. Many a Jewish businessman in the seventeenth century laid the foundation for his modest fortune by the swift purchase and disposal of the debris left on the battlefield of the Thirty-Years War. The Jews bankers and purveyors of the seventeenth century were a strange breed of adventurous, ambitious men. Samuel Oppenheimer of Heidelberg, for example, served as a contractor for Elector Karl Ludwig of the Palatinate, and this relationship opened many other royal doors to him. At the end of the seventeenth century, when Louis XIV of France was the most dreaded predator in Western Europe, Emperor Leopold I of Austria, a fanatical Catholic, was obliged to turn to Oppenheimer for help; he was the one person who could provide the Hapsburg armies with food, fodder, and munitions. The Austrian emperor’s confidence was not misplaced. Oppenheimer’s agents, his widely placed business friends and relatives provided him with the necessary supplies. Moreover, the supplies were turned over to Leopold on credit; while Oppenheimer himself borrowed from his fellow Jewish purveyors, from Aron Beer of Frankfurt, from Loew Sinzheim, the Court Purveyor of Mainz, from Moyses Isaac, the Court Jew of Bamberg, and others. When Oppenheimer died in 1703, the Court of Vienna faced virtual bankruptcy, forAustrian finances were integrally tied in with Oppenheimer’s. The Hapsburgs recouped, however, by turning to yet other Jewish purveyors. Many Jews provided their rulers not merely with munitions and foodstuffs, but also with supplies of money. In the early modern era, the courts of Europe were almost completely dependent upon private bankers for short‑term loans. It happened that most of the money trade in those days, for reasons we have described, was in the hands of experienced Jewish dealers in gems and precious met­als. The identical circumstances that produced the Jewish merchant and purveyor produced the Jewish banker: his connection with the Netherlands, the banking center of Europe, through his Sephardic brethren; his international contacts in all the mercantile centers of Europe; above all, his long experience in dealing with precious metals and the currencies of the Continent. Again, the return for these short‑term loans transcended mere interest‑payment. As in the case of the Jewish purveyors, compensation frequently included the alleviation of Jewish disabilities, occasionally the right to live at court–often with a title. One of the most colorful of these court bankers was Joseph Suss-Oppenheimer, nephew of Samuel Oppenheimer, of Heidelberg. The origins of “the Jew Suss” are shrouded in mystery. Ostensibly, he was the son of a wandering Jewish actor; but the rumor persisted that he was actually the illegitimate son of Georg Eberhard von Heidersdorf, Imperial Deputy‑Generalissimo and Knight of the Teutonic Order. 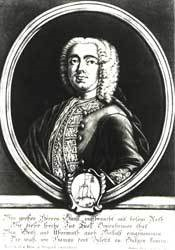 Suss was raised by his wealthyuncle, and was trained by him in the art of banking… After becoming purveyor, factor, gem‑collector, and banker to Prince Karl Alexander of Wurttemberg, Suss exploited his opportunities with such acumen that he obtained virtually complete control of the financial administration of the duchy. Wurttemberg was a sovereignty of no small importance; and Suss, with his grip on the state economy, managed to become a major influence in Central Europe at a time when most of Eu­rope’s Jews were locked off within ghettos. Unfortunately Suss could not restrain his innate piracy. He did not hesitate, for ex­ample, to pocket large sums in bribes from industries that had been assigned government contracts. The Christian officials at court, wincing at the sight of this favored Jewish parvenu, lost no op­portunity to attack his integrity. While Prince Karl Alexander was not unaware of what was going on, he was well satisfied with Suss’s personal loyalty and zeal and with the profits that they produced. When the prince died, however, Suss was left without a protector. In 1737 a jury of nobles convicted him of fraud and embezzlement. He died on the gallows, contemptuously refusing to embrace the Christianity that might have saved his life. It must be remembered that the Hofjuden, the Court Jews, were only a handful of individuals, notable because they had won release from the confinements of the somber ghetto world. Their position was at all times as precarious as the whim of their patrons; and they were determined, therefore, to enjoy their moment of glory to the hilt. The Hofjuden emulated Christian courtiers in fondness for ceremony and formality, for ostentation and display, for costly buildings and elaborate dress, for titles and the simulacra of authority. Which of them knew when the brief moment of glory might end? It was not uncommon, after all, for a duke, a margrave, or a bishop to renege on his debts, leaving his Jewish creditors penniless. Except for their dealings with the ruler, none of these elegant “exception Jews” possessed any valid connections whatsoever with the Christian world. Although they made important contri­butions to the nation‑state and modem capitalism, they were never involved as integrally in the mainstream of Europe’s business ac­tivity as the armies of Jewish peddlers and retailers who continued to live under the bans and restraints of the ghetto. In view of the opportunism that characterized many of these court purveyors and bankers, it would have been natural for them to sever connections with their less privileged coreligionists. 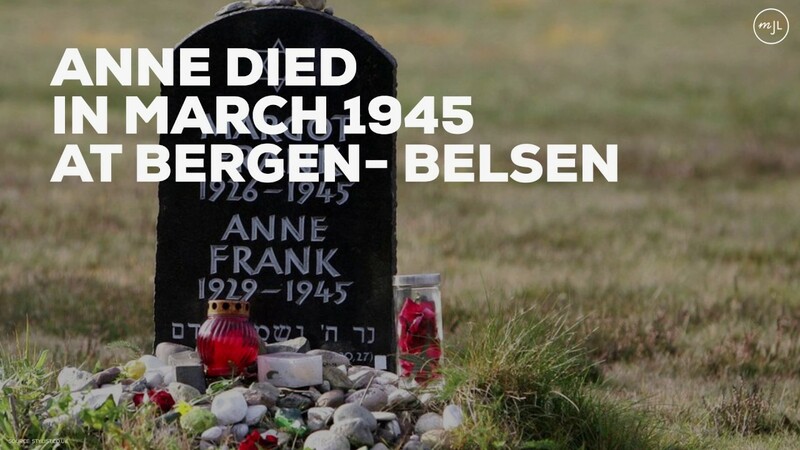 The fact was, however, that most of these Hofjuden remained remarkably loyal and exerted themselves to the utmost in behalf of their fellow Jews. As a consequence of their exalted position they were the shtadtlanim, the intercessors, through whom Jewish petitions were presented to the ruler. It was through the shtadtlanim, for example, that the cities of Dresden, Leipzig, Kassel, Brunswick, and Breslau were opened to Jewish settlement. Most Jewish communities paid dearly for this paternal care, for Jewish bankers and purveyors made their influence felt in the ghetto by exercising control over Jewish corporate life. This pattern of obsequious Jewish dependence upon a few wealthy intercessors was destined to endure in Jewish life long after political emancipation. But in an age of ghettos and Jewish disabilities the wealthy shtadtlan was the only available lifeline to physical security and economic opportunity. The Jewish masses may have resented the brazenness and the ostentation of the Oppenheimers, Sinzheims, Beers, and the others, but they were grateful for the welcome words spoken with timeliness in the right places. As for the ruler, the internal structure of the Jewish community was a matter of complete indifference. He was quite willing to be persuaded that the gradual and selective emancipation of Jews could have useful consequences for the state. To him Jewish financiers were the one truly dependable source of funds for bureaucratic purposes. He could not rely upon Christian entrepreneurs, who bore little love for the courtier‑ridden administrations of the ancien regime, and who stolidly concentrated on their own private business ventures. This canny willingness to unlock Jewish funds for state needs was inherited by the later bourgeois administrations, and was as important a factor in raising the status of Jewish life as the middle-­class egalitarianism that burgeoned up from below. Of course, there were other circumstances, too, that were responsible for eventual Jewish emancipation. The splinterization of the state into a welter of inefficient corporate groups, including the Corporation of the Jews, was an absurd and expensive anachronism that eventually had to be dispensed with…[I]t was society’s gradual recognition of these factors–the genius of Jewish financier, the obsoleteness of corporative–which together with the growth of rational humanitarianism, laid the groundwork for the political liberation of the Jewish people at the end of the eighteenth century. During World War II, the Nazis established more than 400 ghettos for the purpose of isolating and controlling the Jews.